The public has the chance to help name their new harbor seal pup! WHAT: The Aquarium of the Pacific staff is celebrating the birth of the first male harbor seal at the institution, which was born on May 1, 2013. 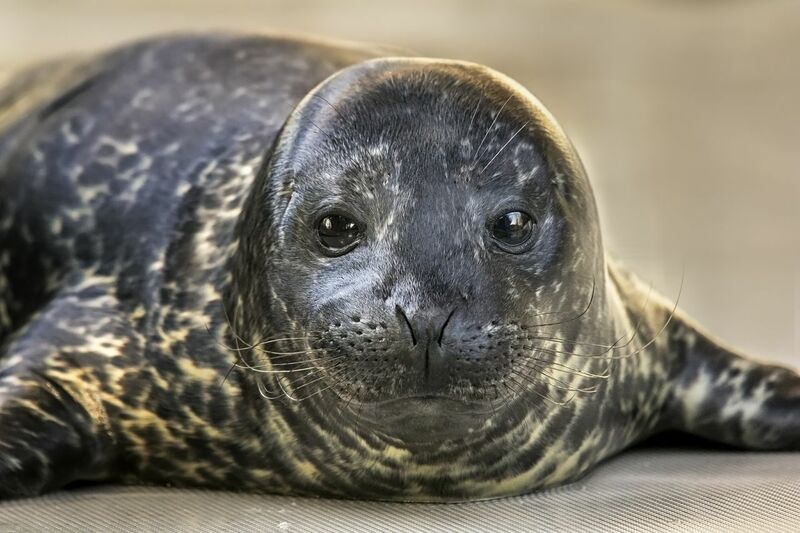 The public has the chance to help name the pup through the Aquarium’s Adopt an Animal program by adopting a seal at the $25 level or higher before June 30, 2013. The pup will remain behind the scenes with his mother until he is ready to be moved to his home in the Seal & Sea Lion Habitat. 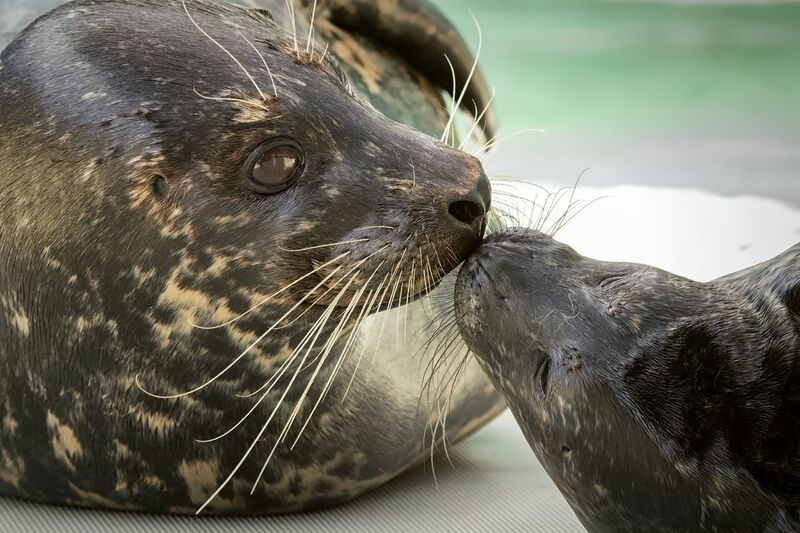 The Aquarium’s harbor seals Shelby and Troy are the parents of the seal pup, which was born on May 1, 2013, and weighed approximately 30 pounds at birth. Shelby came to the Aquarium in 1998. Troy, the Aquarium’s only male harbor seal, came to the Aquarium in 2007. Most seals give birth to young starting at four to five years of age. Shelby is seventeen years old and is considered a mature mom. The male harbor seal is her second pup. Shelby gave birth to her first pup, a female named Bixby, in April last year. ADOPT: Adopt an Animal is a program where individuals or groups can choose to adopt one of eight animals at the Aquarium of the Pacific. Those who choose to adopt a seal at the $25 level or higher before June 30, 2013 have the opportunity to suggest a name for the first male harbor seal born at the Aquarium. Aquarium staff will then choose one of the suggested names. “Parents” at the $25 level will receive an adoption certificate, photo, fact sheet about the animal, invitation to a special event, a subscription to the Adopt an Animal e-updates, and more. Those at the $50 level also receive a seal plush toy. Higher levels include benefits such as admission tickets, behind-the-scenes tours, animal encounters, and more. For a full list of levels and benefits, please visit www.aquariumofpacific.org/adopt . The person whose suggested name is selected will have the opportunity to go behind the scenes to see the pup. AQUARIUM: The Aquarium of the Pacific, a nonprofit institution, is dedicated to creating and building natural capital (nature and its resources) by building social capital (relationships between and among people). Beyond its animal exhibits, the Aquarium offers educational programs for people of all ages, from hands-on activities to lectures by leading scientists. It is a community gathering place where diverse cultures and the arts are celebrated and a place where important topics facing our planet and our ocean are explored by scientists, policymakers, and stakeholders in the search for sustainable solutions. For more information, the public can visit aquariumofpacific.org or call 562-590-3100.